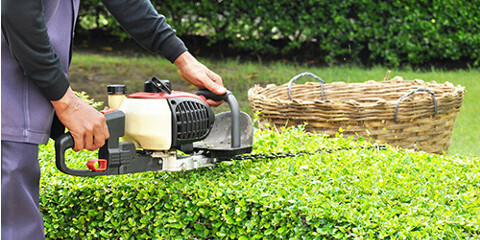 Kruger Arborists is your one-stop shop when it comes to landscaping and tree services. Whether you need expert arborists or to schedule weekly lawn mowing, this local tree company has the professionals for you! Serving residents and commercial properties throughout West Hartford, CT, Kruger Arborists has a team that takes pride in their work. You can depend on them to go above and beyond what is asked to ensure that every customer is satisfied with the end result. Is there a tree on your property that is causing you some concern? Set up an appointment with this local tree company and they’ll send one of their arborists to your property as soon as possible. Once they examine the tree, a trained arborist will discuss the options that are available to you. The best part is, you won’t have to search for another company to take care of the tree removal! This commercial tree care company offers tree and stump removal and specializes in pruning trees as well as overall tree and shrub care. Now, you wouldn’t think that a tree company would also be experts in landscaping and lawn care, right? Well, the team at Kruger Arborists believes that “the sky is the limit” when it comes to caring for your property. They not only work with trees, but they provide efficient lawn mowing, fertilization, sodding, and custom landscape design. As a fully insured tree company, you can trust these backyard professionals to deliver the best results. Call Kruger Arborists today at (860) 521-2602 or visit their website for more information on the services they offer. With their affordable tree services, you’ll soon have that dream backyard paradise you’ve always wanted!